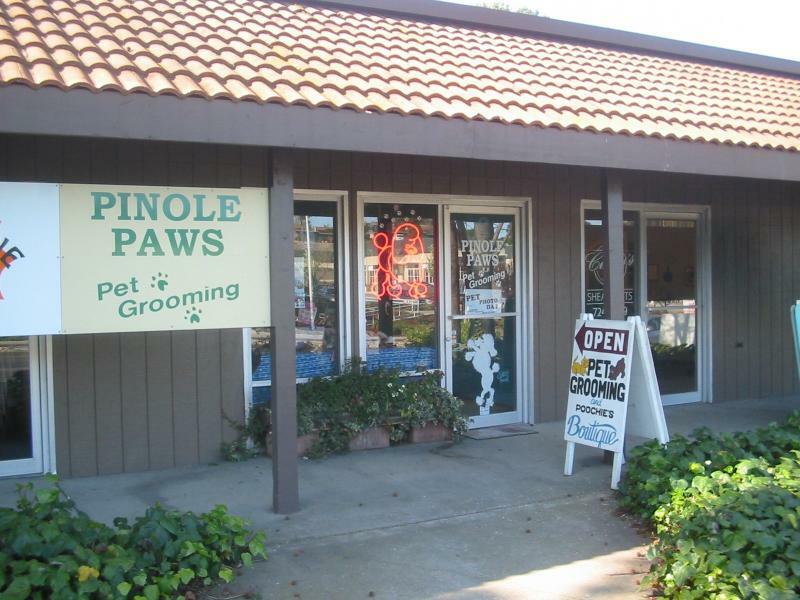 Pinole Paws Pet Grooming - Contact Us Look for the Pink Neon Poodle! Contact Us Look for the Pink Neon Poodle! We are located on the south side of San Pablo Avenue toward the west end of Pinole, on the corner of Sunnyview Drive, five blocks west of Appian Way. Dolan Lumber is opposite us on San Pablo Ave., and Foster's Freeze on the other side of Sunnyview. We have plenty of parking in our lot behind the shop. Click the link below the map for directions, or feel free to call us and we can help you find us from your location.